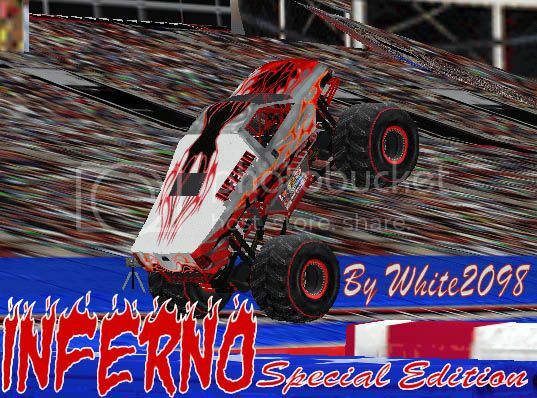 In honor of the 10th anniversary of the World Finals, here's the special edition Inferno! Special thanks to bigdogge for adding semi-transparent rear cab window. You are welcome to use all of my parts as long as proper credit is given! This is definitely goin' on my DL list! D i t t o.